Mahmoud ElAwadi, and Egyptian Muslim from Orlando, Florida, made a powerful statement on Facebook about Muslims in America. He compares the attack to last year’s church shooting in Charleston, South Carolina. Just hours after the shooting, ElAwadi donated blood, along with hundreds of other Floridians, many of whom were waiting in line for hours and hours in order to donate. 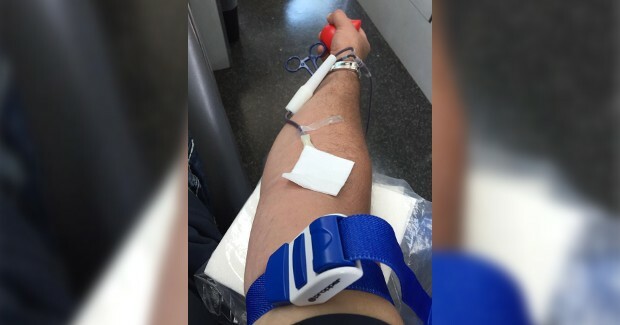 He shared a photo of himself giving blood despite fasting for the holy month of Ramadan “just like hundreds of other Muslims who donated today here in Orlando,” he writes. His powerful message about togetherness resonated with hundreds of thousands online, as his post has been shared over 180,000 times and received heart-felt messages. “Yes, our blood all look the same so get out there and donate blood cause our fellow American citizens are injured and need our blood,” he continues.